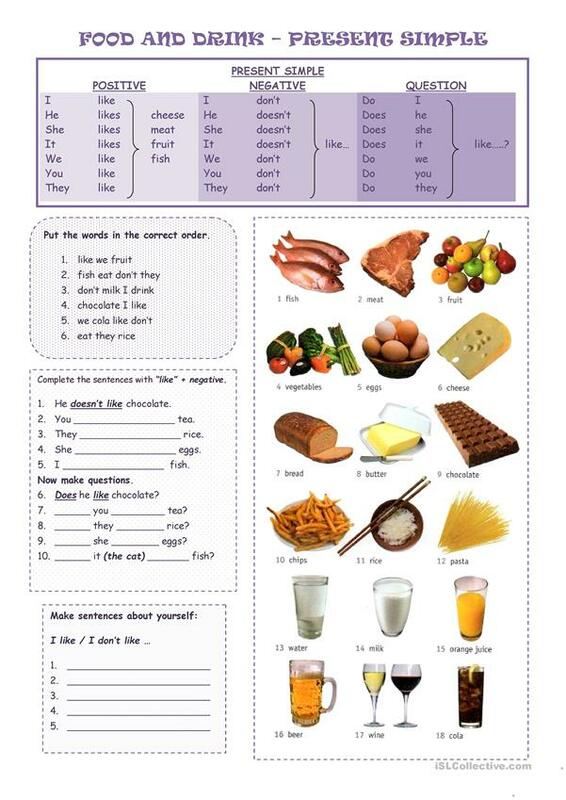 Worksheet practising the present simple - positive, negative & question around the subject of food. The present printable, downloadable handout is best suited for high school students, elementary school students and adults at Elementary (A1) and Pre-intermediate (A2) level. It is a useful material for revising Present simple tense in English, and can be used for working on your students' Reading and Writing skills. It is focused on the topic and words of Food.